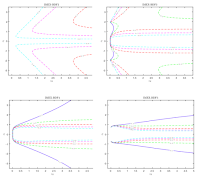 We consider the development of high order space and time numerical methods based on Implicit-Explicit (IMEX) multistep time integrators for hyperbolic systems with relaxation. More specifically, we consider hyperbolic balance laws in which the convection and the source term may have very different time and space scales. As a consequence the nature of the asymptotic limit changes completely, passing from a hyperbolic to a parabolic system. 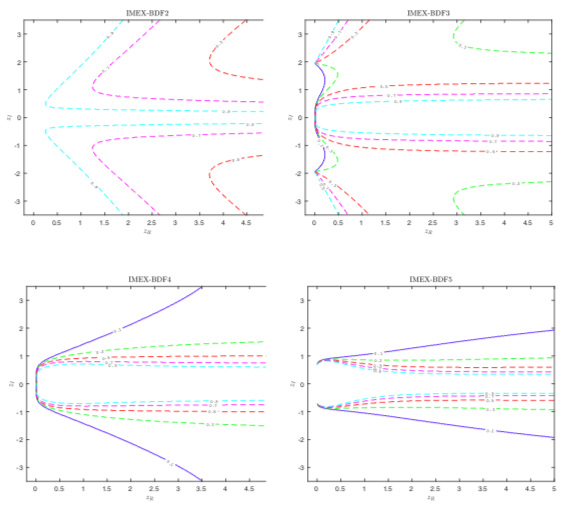 From the computational point of view, standard numerical methods designed for the fluid-dynamic scaling of hyperbolic systems with relaxation present several drawbacks and typically lose efficiency in describing the parabolic limit regime. In this work, in the context of Implicit-Explicit linear multistep methods we construct high order space-time discretizations which are able to handle all the different scales and to capture the correct asymptotic behavior, independently from its nature, without time step restrictions imposed by the fast scales. Several numerical examples confirm the theoretical analysis.